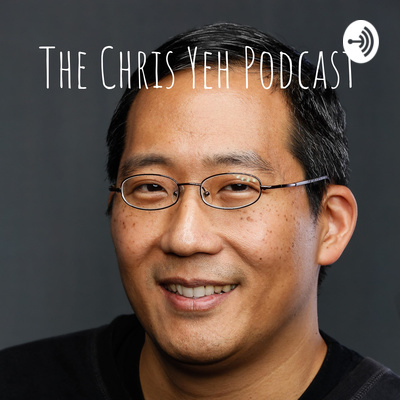 Thoughts on startups, life, and everything in between from author, investor, and mentor Chris Yeh. In today's episode, I recap the action from Episode 6 of this season of Mental Samurai. The theme of today's show was the Memory tower, as contestant after contestant--including two memory champions, Ron White and Luis Angel--lost on Memory questions. Today's competitors were Hannah Cussen (Stanford freshman and tae kwon do black belt), Steve Kaye (Las Vegas entertainment executive), Chad Poist (farmboy, dad, and supply chain manager), Stella Zawistowski (crossword champion), and the night's big winner, Ryan "Mr. Fun" Jones (soulcycle instructor, fabulous). I hope you enjoy this extended interview with America's first Mental Samurai, Nathan Gonzalez! We dig deep into his life, including how he ended up carrying on the family tradition in the hospital, his days as a football star, before a devastating injury ended his dreams of a Division 1 scholarship, and what he has planned for the future. We also discuss some of the crazy things he encountered backstage, which make his amazing run even more impressive. In this episode, I interview Mental Samurai competitor Matt Potts, a Marine and Mensa member who came up just one question short of perfection. Matt and I discuss his life and journey, and his very cool plans for after he retires from the Marine Corps. In this episode, I recap the action that took place in Episode 5 of Mental Samurai (Tuesday, April 16). I discuss the runs of Glenn Hetrick (the black-belt pilot), Ed Moses (the Olympic Gold medalist), Jack Vomacka (the USC freshman and aspiring fantasy novelist), Nancy Jo Perdue (the retired journalist), and Dr. Jackie Boheme (the anesthesiologist). I also spend some extra time discussing Dr. Jackie's amazing story, which I think the show edited down simply because it is so unbelievable that a single person could be so accomplished. I hope you enjoy the episode! My old friend and co-author, Reid Hoffman, stops by to discuss how you should make the decision to blitzscale. In this episode, I interview the first pair of spouses to tackle Mental Samurai, Stephanie and Jameson Thornton. We talk about how they met (Mensa), what they do for fun (Mensa), and re-live their thrilling pair of runs, which ended up giving Jameson the family bragging rights. Greetings from Unreasonable FUTURE! I sit down with entrepreneur Emil Hewage, who is building the technology to treat illness and enhance health and performance using neural stimulation. I recap the action in Episode 4. Stephanie and Jameson Thornton became the first husband and wife couple to compete on Mental Samurai, and while Stephanie might win most of their matchups, Jameson came out on top, though neither finished the course. Matt Potts, the Marine intelligence officer completed the course and nearly became a Mental Samurai, missing only the final question, but still won $75,000, and will be back for the season finale on May 21. Leah Khoury and Marlena Gasper both had good runs, but may have been tripped up by time pressure. And finally, Andrew Ames set a new record by taking all five minutes and failing to answer Question 1. Hey, he still got on TV! In this episode, I interview Episode 3 competitor Marie Criddle. We discuss her upbringing and family, how she ended up going on Mental Samurai, and what it felt like to sit across from Rob Lowe. I think you'll enjoy Marie's story, and I hope we see her on television again soon. Join me for an interview with Episode 3's "Queen" Jaimi Alexander. We discuss her eventful life, how she got into show business, and of course, whether or not she listens to Neil Young or has been to Albany. Enjoy! Chris Yeh discusses the runs of Kevin Hays, Marie Criddle, Bam Bam Bloise, Jaimi Alexander, and Nathan Gonzalez. Lock it in! Greetings from Unreasonable FUTURE, the first social impact accelerator focused on the future of work. I sit down with Unreasonable Group Founder and CEO Daniel Epstein for a conversation about the past and present of the Unreasonable Group. We even swear at one point! Hey Mental Samurai fans! I hope you enjoy these interviews with two more competitors from the season premiere, Jorden Halvorsen, one of America's only female bull riders, and writer and performer Becky Eldridge, who came oh so close to completing the course. Thanks to both of these wonderful ladies for making time to record these interviews! Mental Samurai Episode 2: Dr. Ken speaks! I had the pleasure of speaking with Dr. Ken Franklin after his run on Mental Samurai, and I hope you'll enjoy the conversation as much as I did! I provide a recap with color commentary on Mental Samurai Episode 2 (airdate March 26, 2019). One of the in-depth topics I discuss is the dichotomy between the "all business" and "dramatic" approaches to running the course, illustrated by Heather and Mitch's respective runs. Want the inside scoop on Fox's Mental Samurai? Season 1 competitor Chris Yeh (that's me!) talks about the show and interviews his fellow competitors. In this episode, hear from Clay Anderson (the astronaut), Joey Guttman (the lawyer), and Episode 1's big winner, Sam Durbin (the drag queen). Podcasting is the future of thought leadership for every industry. I say hi to my friend Don Yates. How to think about "investing" your time. In which I figure out how to use Bluetooth. Episode 1: Let the Adventure Begin!